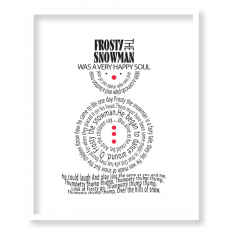 An A4 glossy print - it's a unique print depicting a snowman featuring the lyrics of the famous song...Frosty the snowman......in a contemporary design. 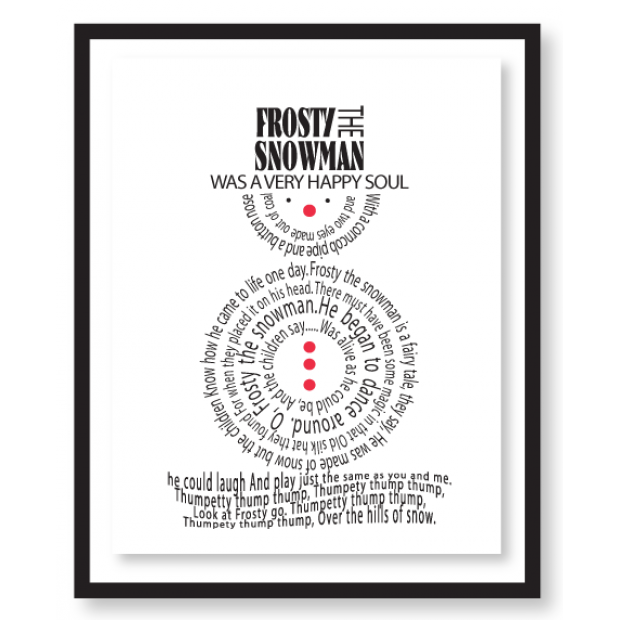 A great Christmas decoration to brighten up all homes. 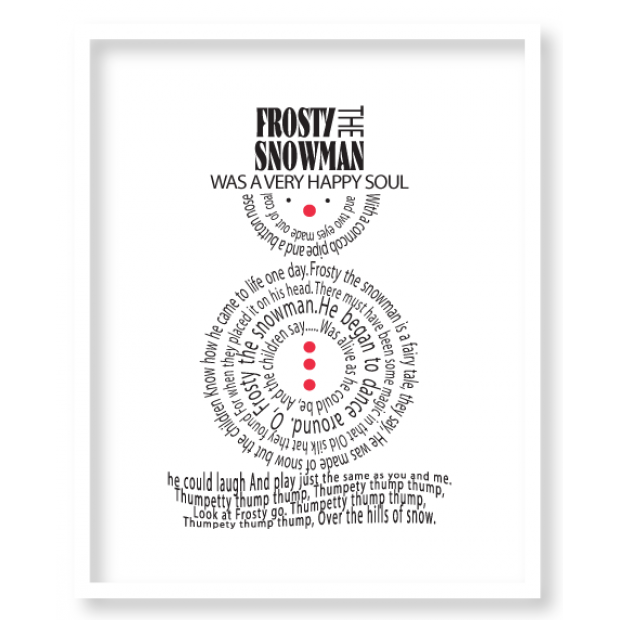 It can be framed in a 11 x 14 in frame in Black or white frame with a neutral mount.